Telecom vendor Nokia announced its financial results for the 3rd quarter of 2018 with a reduction of around 57% of its net loss and disclosed plans to launch a cost reduction program. Reported net sales in Q3 2018 were EUR 5.5bn, compared to EUR 5.5bn in Q3 2017. On a constant currency basis, reported net sales grew by 1% year on year. Reported net sales in Q3 2018, excluding non-recurring catch-up licensing net sales which benefitted the year-ago period, grew by 3% year-on-year (4% on a constant currency basis). In Q3 2018, Nokia achieved year-on-year growth across all five of our Networks business groups, as well as in Nokia Technologies. Reported diluted EPS in Q3 2018 was negative EUR 0.02, compared to negative EUR 0.03 in Q3 2017, primarily driven by lower restructuring and impairment charges, partially offset by the absence of non-recurring catch-up licensing net sales, which benefitted the year-ago period, gross profit performance and income taxes. Non-IFRS diluted EPS in Q3 2018 was EUR 0.06, compared to EUR 0.09 in Q3 2017. 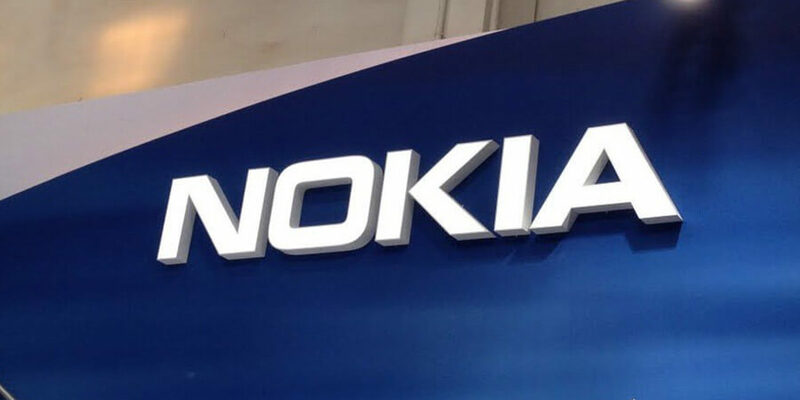 Non-IFRS diluted EPS, excluding non-recurring catch-up licensing net sales, declined by EUR 0.01 year-on-year, as Nokia was able to partially offset its gross profit performance with continued operating expense reductions, in line with its cost savings program. Net cash and current financial investments decreased by approximately EUR 270mn sequentially. In Q3 2018, the company generated cash profits, which were more than offset by changes in net working capital, capital expenditures, payment of dividend withholding tax and restructuring and associated cash outflows. Nokia expects to end 2018 with a strong financial position, based on strong seasonality in Q4. Rajeev Suri, president and CEO of Nokia, said on Q3 2018 results, "Nokia's third-quarter results validate our earlier view that conditions would improve in the second half of 2018. This was particularly evident in our excellent momentum in orders, growth across all five of our Networks business groups, and improved profitability compared to the first half of the year. Despite some risks related to short-term delays in project timing and product deliveries, we remain on track to deliver on our full-year guidance." He added, "We are executing well on our strategy with particularly good progress in Nokia Software and expansion to select enterprise vertical markets. Separately today, we announced steps to accelerate that progress as well as sharpen our customer focus and maintain cost leadership. These are important steps that give us added confidence in our ability to deliver on our 2020 financial commitments." In the Networks business, the order backlog was strong at the end of Q3 2018, and Nokia expects commercial 5G network deployments to begin near the end of 2018. In Nokia Technologies, the company maintained our strong track record, with 19% year-on-year growth in recurring licensing net sales. The decrease in net sales on a year-on-year basis was primarily due to the absence of approximately EUR 180 million of non-recurring catch-up licensing net sales, which benefitted the year-ago period. It continued to make good progress on licensing agreements. Subsequent to the end of Q3 2018, Nokia extended its patent licensing agreement with Samsung and reiterated its financial guidance for Nokia Technologies.